Return to the lighter side of war! High-quality t-shirt featuring the classic M*A*S*H logo. 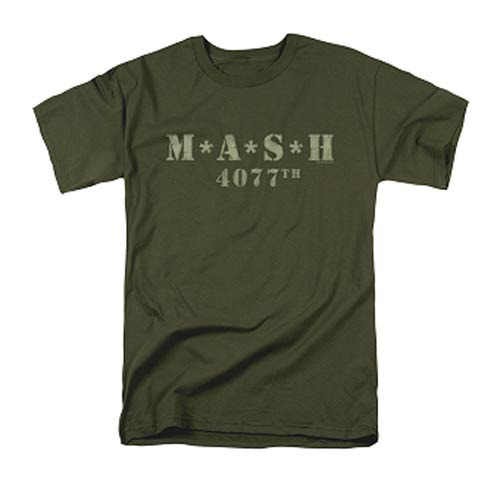 Celebrate one of the most endeared television series of all time with this MASH 4077th Logo T-Shirt. The high-quality military green pre shrunk t-shirt is made of 100% cotton. Machine washable. Order yours today!